Sun, Sea Sand and... Flamingos! Imagine waking up to the beautiful sunrise, enjoying your breakfast on the terrace of your Aruba home, and getting ready to go out and enjoy all that our island has to offer. Aruba is a very popular choice for people from all over the world looking for a new property in the Caribbean. Whether you are looking for a vacation home, a new primary home or investment property, there will be something to suit your taste here. We have a good selection of beachfront homes, luxury golf villas, homes in gated communities, and plenty of vacant land so that you can design and build your dream home exactly as you have always imagined it. When you choose Aruba, you are choosing to live a relaxed and enjoyable lifestyle like no other, together with all the other friendly residents on the island. Aruba has a very rich and interesting past, with many different civilizations such as the Arawak Indians leaving their mark here, as you will see reflected in the culture, languages, people and food. Aruba, a rich cultural history. 1,000’s - The Arawak Indians arrived as the first inhabitants of the island. They migrated north from the Orinoco Basin in South America. 1499 - Alonso de Ojeda the Spanish explorer arrived on the island, and claimed the island for Queen Isabella, however the Spanish left soon after due to the island’s lack of gold. The island was abandoned and left to the Caiquetios for the next 150 years, and before long the island became a hideaway for pirates and buccaneers who preyed on ships transporting Indian treasures back to the old world. 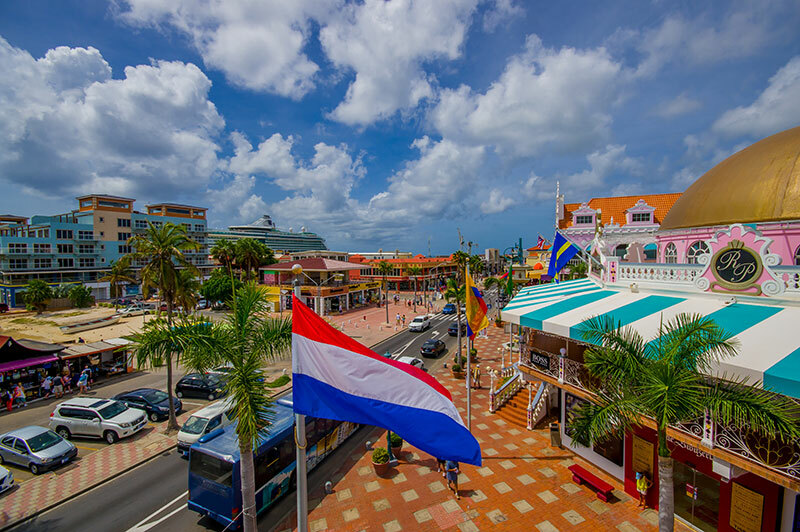 1636 - The Dutch captured Aruba, so that they could establish another colonial presence, having been expelled from St Maarten. 1805 – 1815 - The island fell under British control during the Napoleonic wars, before returning to Dutch control. 1824 - gold was discovered near Bushiribana marking the beginning of the gold rush which lasted until 1916 when it became unprofitable and shut down. 1929 - Aruba became home to one of the world’s largest oil refineries. 1985 – The refineries closed down and tourism became a very important industry. Oil refining was resumed in 1991 however the island continues to invest heavily in tourist development, and is the island’s primary economy. Just imagine waking up to the beautiful sunrise, enjoying your breakfast on the terrace of your Aruba home, and getting ready to go out and enjoy all that our island has to offer. There are so many activities to enjoy, that you are guaranteed to find something to do every day. From water sports, to dry land activities, historical and sight-seeing tours, we have it all, of course including plenty of white sandy beaches, to lay down your towel, relax and enjoy the sunshine. Although the island of Aruba is known for its laid-back attitude and lifestyle, the party never seems to stop and after dark the restaurants, casinos and dance clubs come alive. Aruba has some of the best restaurants in the Caribbean specializing in, not only local cuisine, but also international dishes, many of which include the freshest fish caught every day. If you want to enjoy local entertainment you will find many venues with live entertainment most days of the week. Aruba is a wonderful island to visit and live, the scenery is second to none, the activities are fantastic and varied, the weather is perfect and the Real Estate is luxurious. There is no better island than Aruba to spend vacations, or to re-locate to and begin enjoying island life in your very own home in paradise.